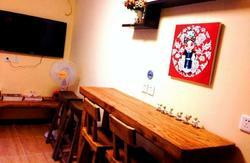 Peking Yard Hostel is one of the most beautiful hostels you will find in Beijing; weâ€™re set in a courtyard house which is more than 200 years old. 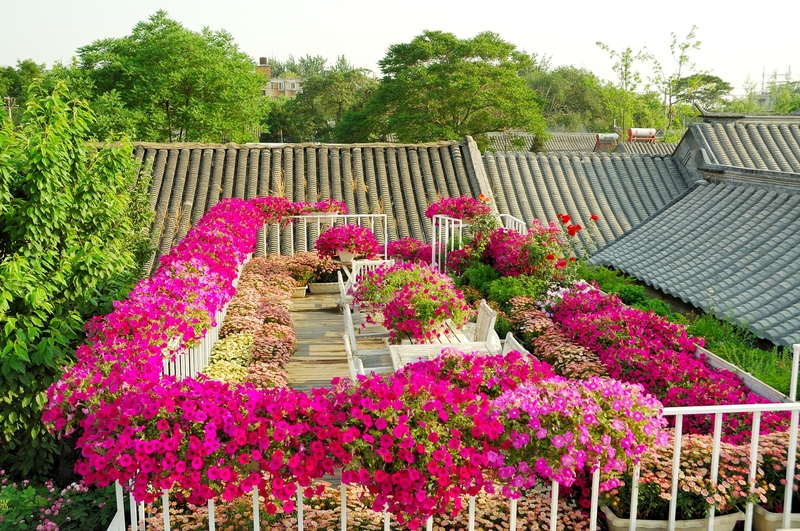 This beautiful building gives our guests the chance not just to see Beijing's history but also to sleep in it! Itâ€™s been restored with all modern facilities without spoiling the building's character. The moment you step inside you'll begin to relax, unwind and experience all that we have to offer. Our lovely kitchen offers everything that is homemade - from bread to ketchup, from milkshakes to deluxe pizza and choice Italian wines. We use Illy coffee beans so you can enjoy only the best latte, Americano, espresso, cappuccino, macchiato, mocha and more. Our dumpling party is not a party â€“ itâ€™s the party! This is when everyone stops working and relaxes, yes! We are not only receptionists, chefs, or laundry ladies, but families â€“ come and join us! Weâ€™ve got music on all the time, from sunrise to sunset, with classical, rock, pop, R&B, post-disco and more. Itâ€™s always up to date! In our library youâ€™ll find the China Daily Newspaper, Lonely Planet Series, tourist guidebooks, Norton Literature series, best sellers, fashion magazines, food and wine magazines and more. We have a terrace. Imagine when you wake up after a tiring trip, you go upstairs and have a most relaxing breakfast, bath in the sunshine, sense the fragrance of flowers, read the morning paper or have a candle-lit dinner at night and hang out with friends - anything you can think of, and yes, it's all yours! We also have movie nights. You will always find something to your taste amongst our hundreds of movies, so get yourself entertained! Guests can be assured by our conscientious staff, security card system and commitment to the highest standards. Our warm and friendly staff will do all in their power to insure your stay with us is a memorable experience. We offer accommodations to fit your personal needs. No matter what your tastes, we're sure you'll find just what you're looking for. Our services include a postal service (with postcards and stamps), ticket booking (from trains to planes and from concerts to museums), tour booking (transfer and entrance, no shopping); plus, we offer an airport pick-up and drop-off service for a small fee. Our daily tour from Jinshanling to Simatai Great Wall 3.5hrs long, with a 6km climb to see 22 ancient towers and the most rugged part of the Great Wall. 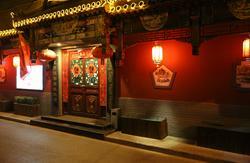 Sometimes we also have tours of Mutianyu Great Wall and the Ming Tombs. The wild great wall is Simatai but the 'fun' wall is Mutianyu. Climbing Simatai is a memorable challenge, with breath-taking scenery, but for lighter hike, choose Mutianyu. You can reach the top by Swiss gondola or chair lift for incredible views. Hike to serene spots to take photos, then race down by alpine slide or walk leisurely. Included in the tour are the ancient Ming tombs, burial place of the emperors. We can book tickets for some great performances, including transfer and entrance, such as the Peking Opera, traditional Chinese acrobatics and kung fu demonstrations (4000 years of history and still alive!). Beijing is a metro-city filed with excitement and wonder; go to the reception and ask them for anything - tips for local snacks, tourist sites or just a small walk in one of Beijing's remote Hotong. Feel the pulse of Beijing! With our new way of living, always on the move, you never know whatâ€™s gonna happen tomorrow; we all live in constant cultural shock - that's the way of a backpacker, and we bloody enjoy it! Take a minute off from the stress of living, see the world, touch it and get inspired for your next journey! Our mission is to provide comfortable, secure, clean and spacious accommodation to the budget traveller. Don't just see Beijing's history; live in it for a while! Take Airport Express Train to Dongzhimen Station. Then take subway Line 2 to Yonghegong (Lama Temple), and then transfer to Line 5 and get off at Zhanzizhong Lu Station. (Subway operates every 4-6 minutes from 5:30am-11:30pm.) Take D Exit and turn right. Then turn right on Wangzhima Hutong, at last with 150 meters pleasant walk. Alternately, a taxi from the airport should take around 40 minutes to an hour. Take the subway Line 2 to Chongwenmen Station, then transfer to Line 5 and get off at Zhangzizhong Lu Station. Take D Exit and turn right. Then turn right on Wangzhima Hutong, at last with 150 meters pleasant walk. Catch Bus No. 623 and get off at Zhangzizhong Lu Station. Alternately, if you catch a taxi, the fare is RMB40-50with RMB1.00 fuel surcharge. The journey should take around 40 minutes (longer at peak hours). Take the subway Line 4 to Xidan Station, then transfer to Line 1 to Dongdan, then take Line 5 to Zhangzizhong Lu Station. Take D Exit and turn right. 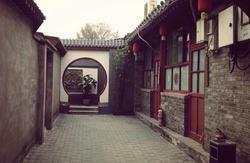 Then turn right on Wangzhima Hutong, at last with 150 meters pleasant walk. Alternately, a taxi will cost around RMB40-50 with RMB1.00 fuel surcharge. The journey takes 40 minutes (longer at peak hours).